African master artist, El Anatsui has a nice problem…a waiting list of over 500 for one of his smaller works. 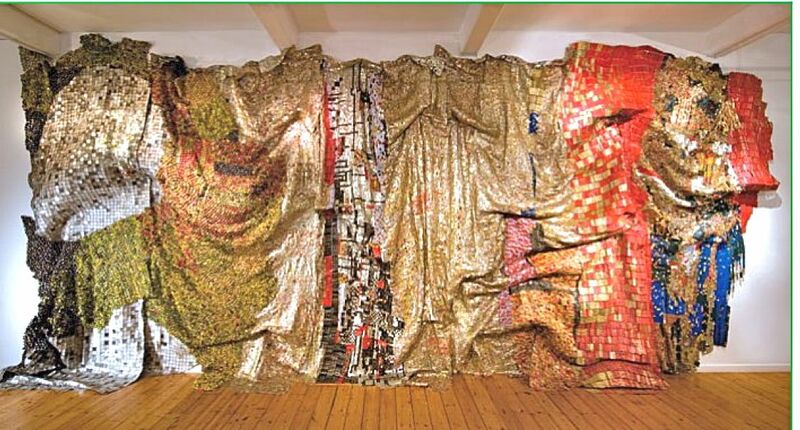 Early in his career, El Anatsui worked on a smaller scale. Today, he doesn’t let the demand dictate the direction or size of his pieces…following only how the spirit moves him. You can see more of his works on google images or at the Brooklyn Museum.